Were you or someone you love injured in a drunk driving accident? If so, the focus of the victim needs to be on his or her health and recovery. Unfortunately, medical bills continue to add up. How will you pay them? What if you can’t return to work soon–or at all? These are the reasons we fight for those injured due to another’s negligence in a drunk driving accident. Drunk driving is against the law, yet according to the Centers for Disease Control and Prevention in 2014, 9,967 people were killed in alcohol-impaired driving crashes, accounting for nearly one-third (31%) of all traffic-related deaths in the United States. Driving impaired or driving under the influence of alcohol or any other impairing substance such as prescription or over the counter drugs is also illegal! Everyone knows driving while impaired or drunk driving places everyone on the road, including the impaired driver, at a high risk of serious injury or even death. These are clearly acts of willful and wanton negligence. Yet drunk drivers and impaired drivers maul and even take hundreds of North Carolinians’ lives each year. 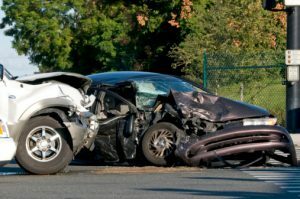 If you or a loved one has been seriously injured or you have lost a loved one or family member as a result of a drunk driving accident in Durham or elsewhere in North Carolina, call Thomas, Ferguson & Mullins to talk to the lawyers here. We are committed to holding people accountable for the pain their selfish carelessness has caused. We do not simply take these cases and handle them like a typical car accident. Drunk driving accident cases are different than a typical motor vehicle accident. For an impaired or drunk driving case, you need lawyers with skill and experience. We have almost 100 years combined experience representing victims of drunk driving and impaired driving in cases throughout North Carolina. We have succeeded in reaching recoveries in North Carolina against bars, restaurants, social hosts, and other businesses that sell or provide alcoholic beverages to customers or visitors who then become impaired and later drive causing serious bodily injury or death to innocent victims of drunk driving in North Carolina. We have been involved in obtaining large recoveries to victims, plus agreed changes to business policies and even a bar’s closure, following litigation. There is no good excuse for serving someone alcohol when they should not be drinking or appear impaired. Lives are at stake! In Durham and throughout North Carolina, the lawyers at Thomas, Ferguson & Mullins have built a reputation for fighting for the victim’s rights in serious injury cases arising from drunk driving or impaired driving. We have found that, when we represent victims of drunk driving, the vast majority of those cases involve several parties being liable and two to four layers of insurance coming into play. You need a lawyer to help you ascertain all the facts quickly and to figure out the liability and insurance coverage that apply. These are not simple issues, or simple cases! If you’ve been injured by a drunk driver, you have an urgent need to hire a lawyer as soon as possible. Many times, bars and restaurants have a history of over-serving patrons until they are drunk and then allowing the drunk patrons to leave and drive drunk on North Carolina’s roads. We call these bars and restaurants ‘watering holes.’ Unfortunately, the drunk drivers know where their local watering holes are and they go there. In most cases, they go nearly every night of the week! To make matters worse, many times the drunk driver has little or no liability insurance. So, establishing a valid claim against the bar that got him drunk is imperative to your getting some justice. Hire an attorney skilled in DWI injury cases quickly! If you hire our firm quickly, we are often able to force the bar or restaurant into providing us with all their documentation that will prove your claim against the bar and establish that bar’s liability too. If you wait to hire our law firm, we cannot force this disclosure and it actually weakens or even eliminates your claim as it relates to the bar or restaurant’s liability. If you hire us quickly, we often get the drunk driver to cooperate with our factual investigation which leads to critical information against the bar or restaurant that feels no shame in selling him alcohol until he is stumbling drunk, knowing full well that their ‘regular’ is about to drive on your neighborhood roads or North Carolina’s highways! We will fight on your behalf to recover the compensation you need for medical bills, lost wages, pain and suffering, and punitive damages resulting from a drunk driving accident. Our drunk driving accident lawyers have represented clients like you in and out of court throughout North Carolina. We have a proven track record with a combined experience of almost 100 years. Don’t hesitate – going it alone after sustaining injuries due to someone else’s drunk driving is a risk that one should not take. Many victims of drunk driving wrecks try to handle their own personal injury cases, hoping the insurance companies will settle as promptly and fairly as they promise. Unfortunately, insurance companies, even those who have an insured driver who was driving drunk, are still businesses whose main interest lies in making money. Their focus isn’t on what is best for victims of auto accidents, and having a skilled and aggressive lawyer on your side from Thomas, Ferguson & Mullins will help protect your rights to compensation, including compensatory and punitive damages. The legal team at Thomas, Ferguson & Mullins has successfully resolved hundreds of serious personal injury and wrongful death claims, including those involving impaired driving or drunk driving (eg., car, auto, SUV, ATV, pick up trucks, big trucks or semi-truck, bicycle, and motorcycle). We have obtained millions of dollars in compensation for our clients who were the victims of drunk driving. We have collected these recoveries from drunk drivers, bars, restaurants, businesses, and others, including layers of insurance carriers involved. We have an experienced staff of lawyers and paralegals who will work with you to make sure you are fully compensated for your injuries and loss, including medical care, lost wages, pain and suffering, as well as, punitive damages. Everyone has questions about what to do after an accident. If you or a loved one has been injured in an accident, schedule a consultation with us right away.